The Institute’s mission is to increase the number of competent, Republican women in public and community service and party leadership by providing extensive training and support for our class members as they pursue their leadership goals. Accomplishing this mission will build a group of highly qualified, Republican women who are educated and motivated to assume key roles in politics, community and public service. 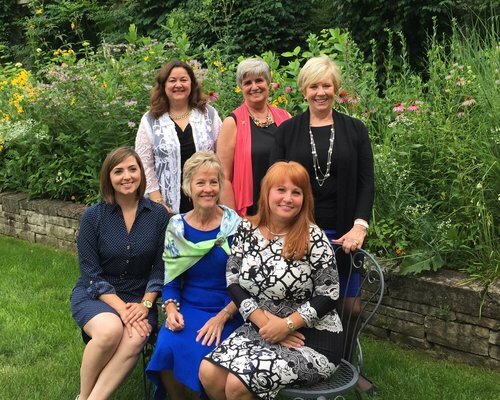 The Jo Ann Davidson Ohio Leadership Institute is an eight-month program created to encourage and train women in business and civic leadership to assume more prominent roles, either elected or appointed, in government and in the Republican Party or in their community. Each year, between 20-25 women from across Ohio, who have an interest in politics and public service and who meet a diverse range of criteria for participation, are selected to join the Institute’s current class. To encourage, inspire, support and prepare class members to assume leadership positions in their communities and in their government at all levels by providing an intensive eight-month training program. If our graduates are not already in elective or appointed positions or actively involved in their community, help them to achieve these goals within five years of their completion of the program. To establish an effective statewide political network which our members can utilize to increase their career opportunities. To educate and help our members navigate the often difficult realities of professional politics and the governing process.